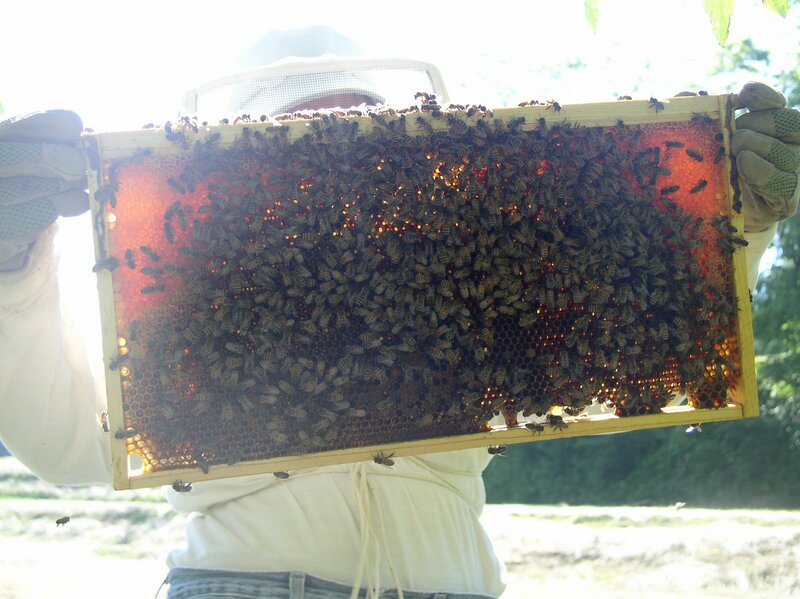 We got bees yesterday, through the bartering generosity of a neighbor (milk for honey!). I am mesmerized by the bees—I love to stand out there and watch them, and listen to their hum. 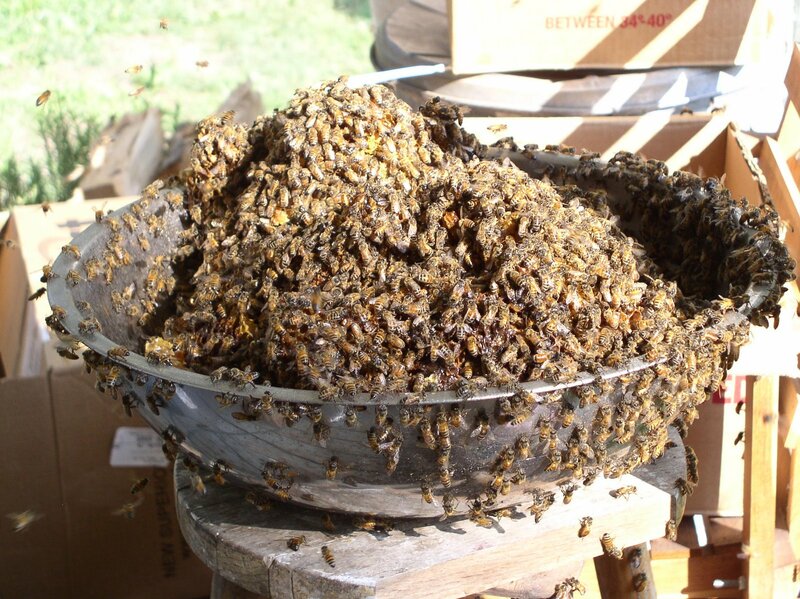 We had gotten bees last fall, but due to a number of traumas, they didn’t make it through the winter. I feel much more confident about this hive. “That buzzing-noise means something. If there’s a buzzing noise, somebody’s making a buzzing-noise, and the only reason for making a buzzing-noise that I know of is because you’re a bee. …. 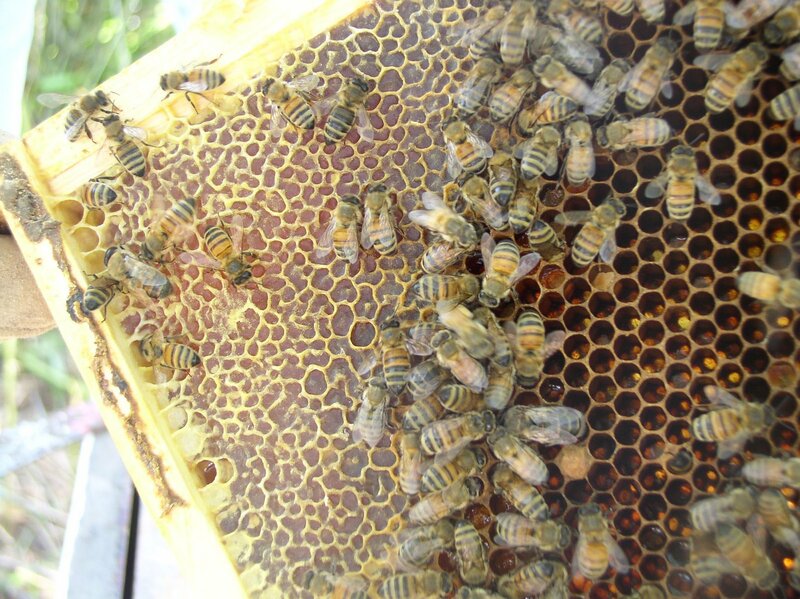 And the only reason for being a bee that I know of is making honey…..